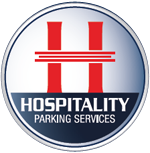 If you have questions for Hospitality Parking Services, please complete the information request form on this page and our administrative team will address your inquiry promptly. Please click the check-box to validate your request. You have missed a required field, or the check-box.